Crazy in Love! This is what comes to mind when I see Brianna & Mitchell. What a great afternoon in the Assiniboine Forest - Crazy Wind, Gloomy Skies, Burs , lots of giggles but most importantly WARM LOVE. 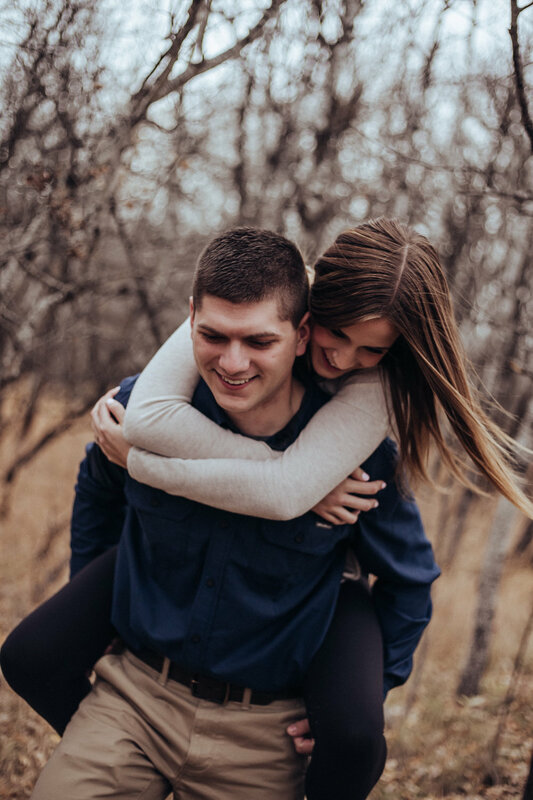 These two are High school Sweethearts and will be saying their “I do’s” next year. They are just so crazy about one another and seeing them together just melts your heart. 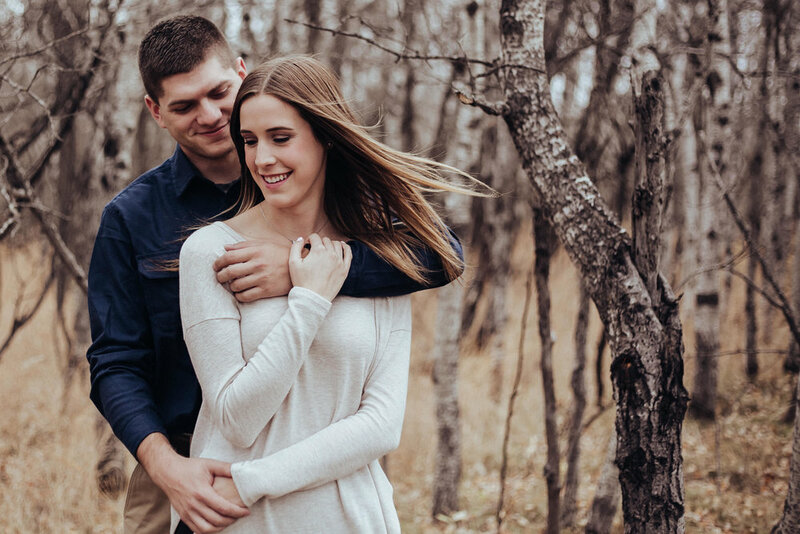 Brianna & Mitchell, I cannot wait to be a part of your wedding day and tell your ‘Love Story’.